This post was created in partnership with CabinZero. All opinions are completely mine. I would never work with a brand I didn’t absolutely love! You can read my disclaimer here. 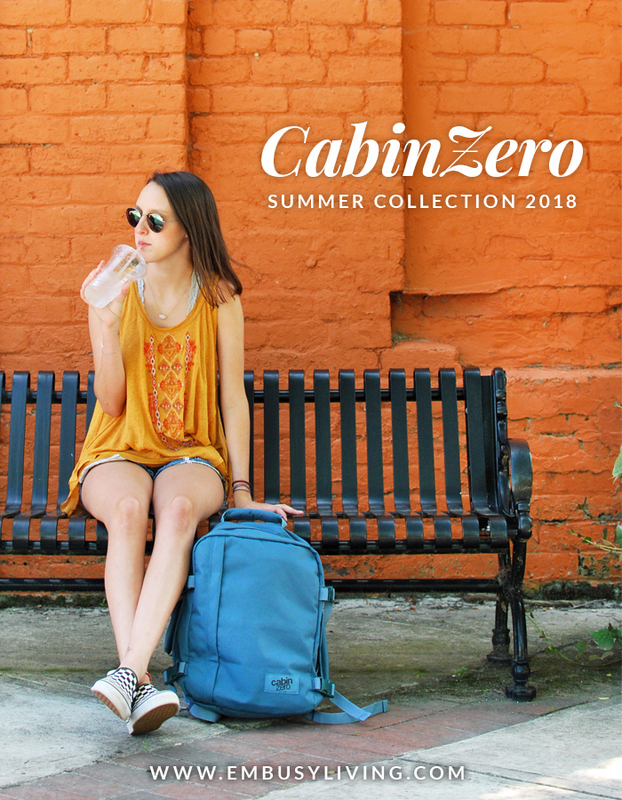 I was so excited when one of my favorite partners, CabinZero, reached out to me recently and asked if I’d like to try out one of the new bags in their Spring/Summer 2018 collection. Uhm, duh! The hardest part for me was picking out the color I wanted, because this bright and fun collection is all about bringing more colorful options to CZ lovers worldwide. This is my second CabinZero bag and I have some big plans for it. 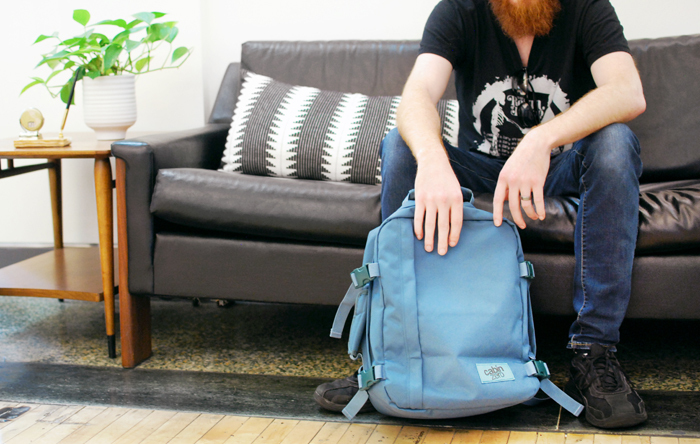 Daniel and I both used our 44L backpacks on our trip to Europe in the summer of 2016 and I’ve since taken mine on trips to Philadelphia and New York City, but they’re a little large to use on a smaller, more local basis. 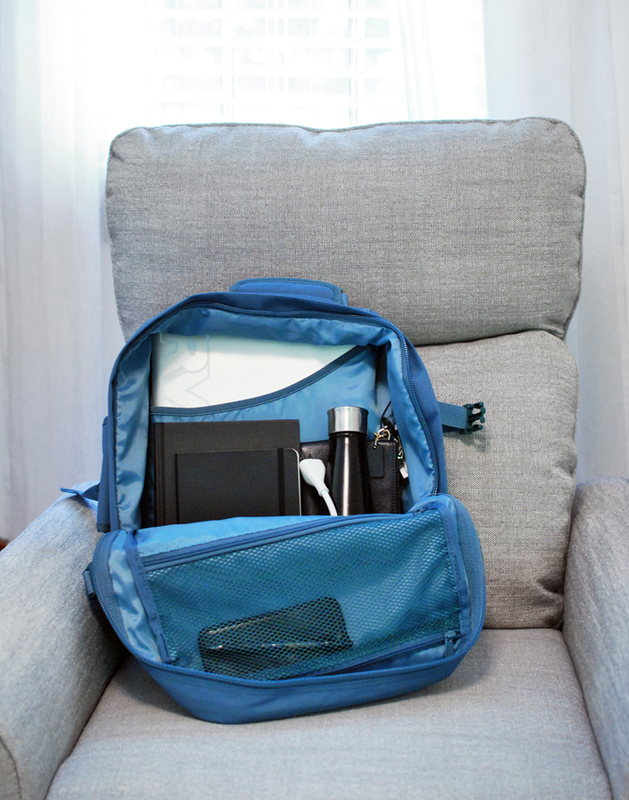 After seeing Sarah’s 28L put to use during our trip to NYC last December I’ve been thinking about how useful a bag that size would be for nearby weekend trips and even for daily use, like toting my laptop and books to a coffee shop. After baby comes, I plan on using this bag as our diaper bag. (I will be sharing more about that at a later date.) Until then, I’ll be using it for all of the weekend trips we’ll have for baby showers and visiting family. It will also be put to good use on our trip to the beach in August. I tested it out for the first time a couple of weeks ago when I visited my parents for a few days. Inside I was able to fit my laptop, the laptop charger, two hardcover books, my planner, my DSLR camera, batteries for that, and a few other small odds and ends (pens, USB adapters, etc). I absolutely love that my 15″ MacBook Pro fits in the padded sleeve just perfectly because it’s so hard to find a bag that works for that size MacBook for some reason. I have a feeling I’m going to get a ton of use out of this backpack. 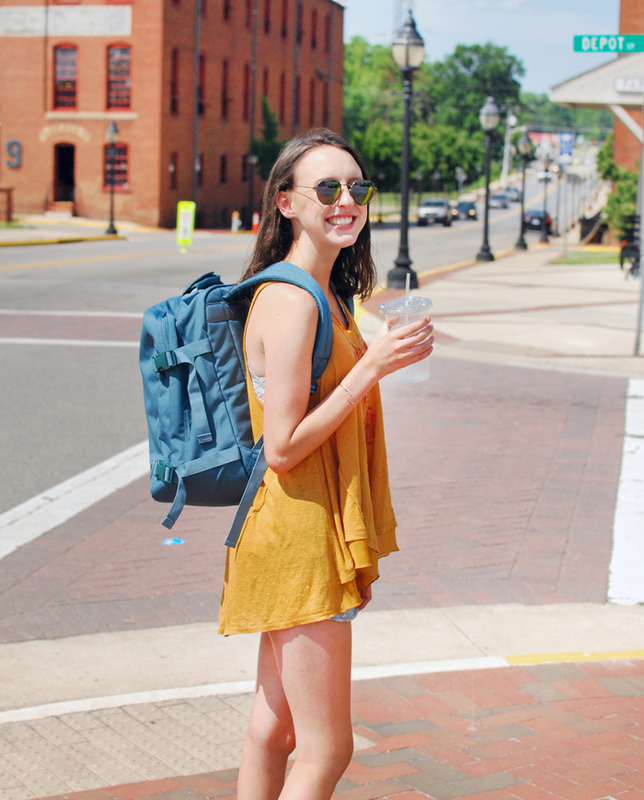 Thanks to my cousin Sarah for modeling my bag for me on our day out in Farmville a couple of weeks ago! I also visited Daniel at his company’s gorgeous office for a few of the shots. 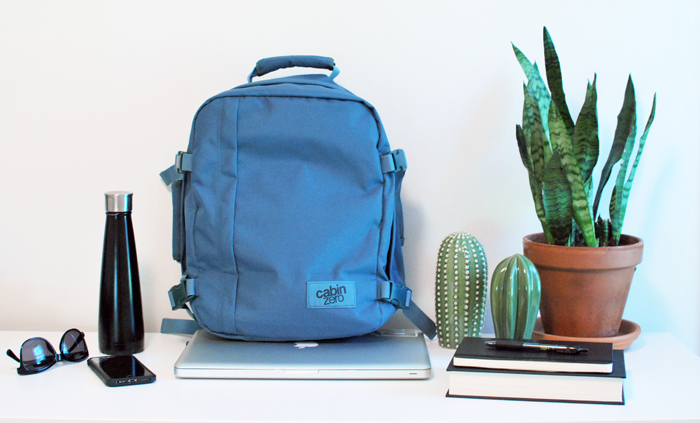 You can read my previous review of CabinZero’s 28L backpack here and my review of our 44L backpacks here. 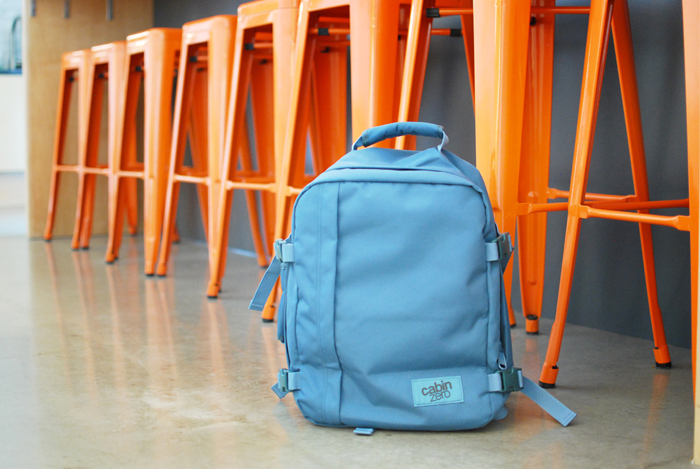 If you’re looking for a really great bag of your own, whether you want a smaller one for daily use or a larger one for hand-luggage-only travel, head to CabinZero’s website and experience your own indecision on which of their fun colors to choose. 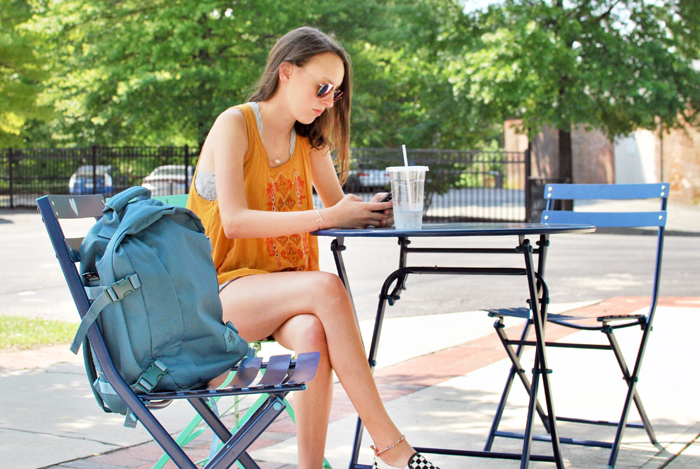 Click here to find the perfect CabinZero bag for your upcoming travels or daily use. I use one of my old backpacks as our diaper bag. They are the best. Jordan’s carry-on just broke so we’re in need of a new piece of luggage. I found an insert on Amazon that will give me some sections to organize and I’m really excited to try it out! I haven’t tried their 36L bag yet but if the 44L seems like too much and this one too small, check those out for sure! That bag looks awesome. I’ve never heard of the company but I’m going to look into buying one. It looks like it has a lot of space and I like the little compartments. It would be perfect since I’m always carrying all of my kids stuff too. I’m a new follower and would love if you’d follow me back when you get a chance. ? Can’t wait to read more! I’m excited to try it out and see how it works as a diaper bag! 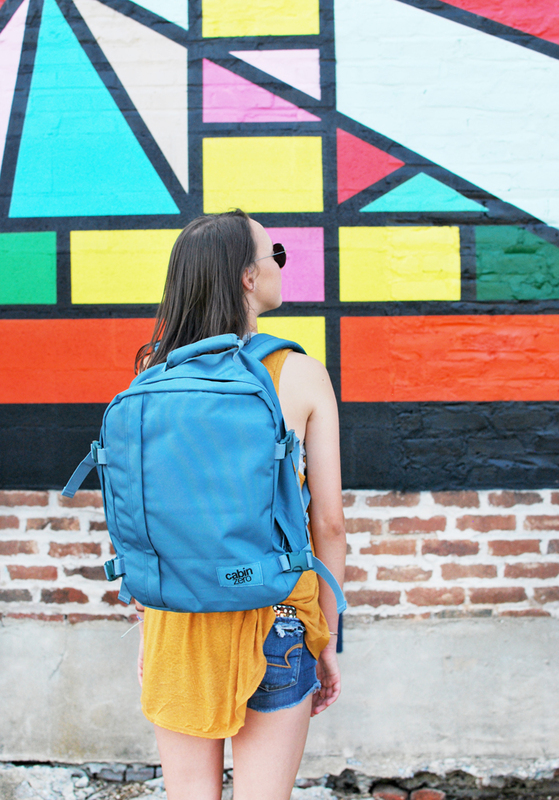 I just haven’t seen any actual diaper bags I like, and I already know I love this backpack!